As the lead singer of Aerosmith, Steven Tyler is considered one of rock’s greatest showman. Now he is included among Rolling Stone’s 100 Greatest Singers. He was also ranked 3rd on Hit Parader’s Top 100 Metal Vocalists of All Time. In 2001 he was inducted into the Rock and Roll Hall of Fame with Aerosmith. Though he is best known as Aerosmith’s front man, Steven Tyler is a man of many talents. Combining his love for music and his natural artistic ability, Steven Tyler has created a style of his own. 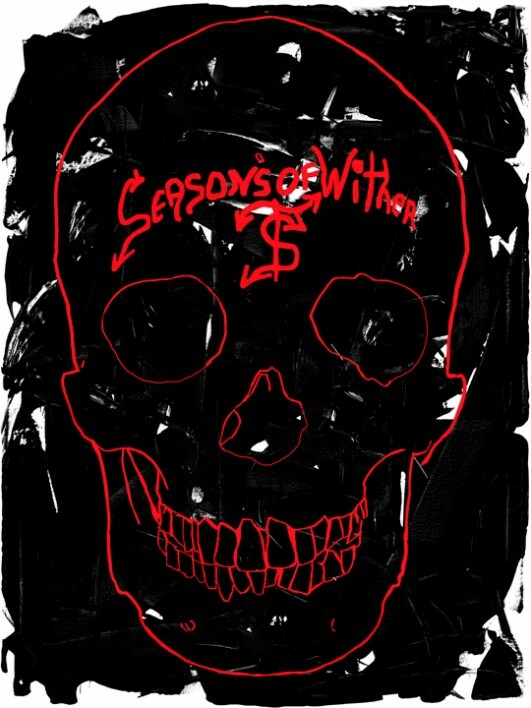 Inspired by the song from Aerosmith’s second album “Get Your Wings”, “Seasons of Wither” is a powerful painting featuring Steven’s signature skull design.